The Guardians is an alarming new documentary from Toronto director-journalist Billie Mintz about the American public and private guardianship scam which captures unsuspecting elderly out of their home by court order. 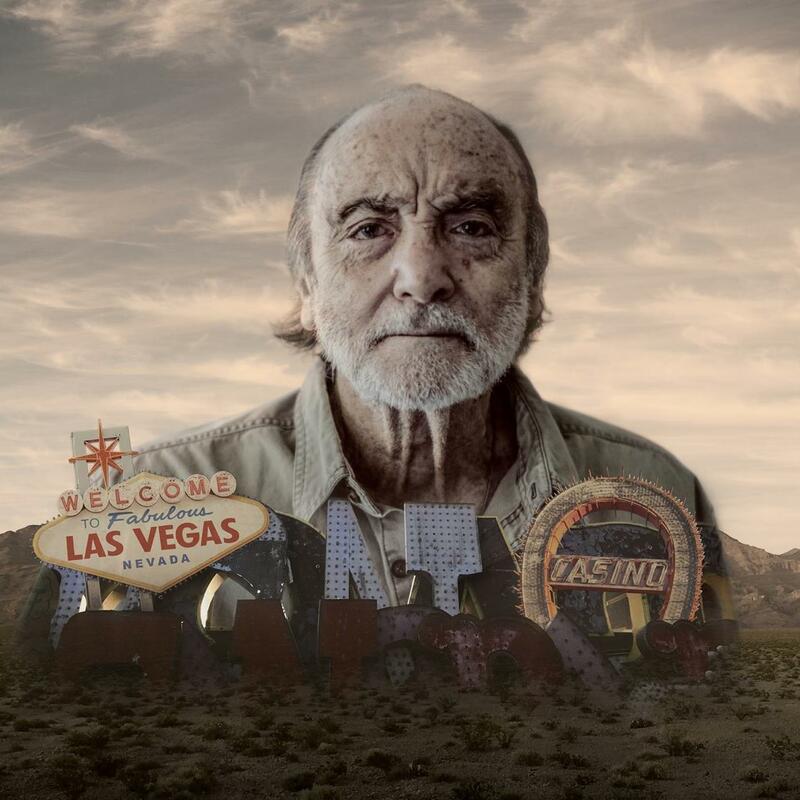 At first it seems implausible, but Mintz carefully investigates this ongoing issue in the region where this scam started: Clark County, Nevada a suburb outside of Las Vegas. Today 1.5 million seniors are under control of a public or private guardianship across America and it is believed that one elderly person a day is taken out of their home against their will. In Clark County, guardians capture seniors through forged documentation and fraudulent records. Then, seniors are taken to either a psych ward or to an elderly facility for the rest of their lives. Mintz captures instances where seniors life savings disappear and they are physically and mentally abused. Mintz primarily follows a senior couple Rudie and Rennie North as well as their daughter Julie Belche through this mindfield that is the private guardian system. It’s becomes apparent how aggravating the situation is for the subjects and by the end you are exhausted by their traumas. This doc moves at a clipped pace, but at the end of the one hour and forty minute running time, I wanted more. I had the opportunity to chat with Mintz about the inner workings of this conspiracy and how he had to sacrifice a lot in the editing room in order to simply share this story to a broader audience. How did you discover this case? I was in Europe and met a gentleman whose parents were taken by an accountant in New York. His story was so unbelievable that I came to the states to follow it up, which led me to Vegas. By the time I’ve met my subjects [in Nevada] I had already known about guardianship for a couple of years when they had fallen into this scheme. Did this district of Clark County, Nevada have a larger number of elderly being taken by public and private guardians? It is believed Clark County and Las Vegas, Nevada are the epicenter of the guardianship epidemic. Everyday someone is getting put into guardianship against their will. People believe that [guardians] from America and all around the world are learning from the main perpetrators I found in Vegas. Why did you decide to include yourself in the film? It’s such a convoluted story with so many parts that we need a driving narrative of a person who is not involved [in the scheme]. Otherwise you have a he said, she said scenario. Conspiracies are successful when a group of people come together with a particular false narrative against a victim, then the people who are observing don’t know who to believe. This way an audience follows one perspective into this and learn as I learn. Then, as you learn these things you can’t believe it. I wanted to show that process of disbelief. I wasn’t pointing fingers at the so-called perpetrators, and I wanted to speak to them too. It was important [to have both] perspectives. Did you have a DOP on this project or did you mostly shoot the film? It depended where we were at in the development process. It took a lot to raise the finances for the film. At first I went and shot it by myself, but then I did have amazing cinematographer Sasha Morric shoot with me once we figured out what our story was. How did you achieve some of the aerial shots in the film? Sasha Moric was able to use a drone as a crane and as a tool for storytelling to see this [story] from above. We called it the God Cam, because nobody is accountable [in this story]. If humans are not accountable to other humans, then are they accountable to God? Why did you decide to incorporate transitions on the landscape of Nevada: the desert and the mountain ranges? Las Vegas is surrounded by four mountains in all directions. I call the mountains the elders. It was a very deliberate move to recognize that no matter what humans get involved in these elders are there witnessing. Also, I was so caught up in this disturbing craziness that I had to seek refuge out in nature. I wanted the audience to experience that as well. What conversations did you have with your editor about how the story was going to be told? Michelle Francis took around three hundred hours of footage from three years of shooting and over six months turn it into a story. We worked diligently together to work out what can be in it. Our first cut was two-hundred and twenty minutes. We’re trying to cut it down to European [markets] of sixty-minutes, but it’s impossible. There’s nothing you can cut out. This is a scheme has taken forty years to develop into something that is able to scam people at such an intricate level. A lot of cue cards went up on a wall to figure out where we can put everything. We decided that a lot of this we had to tell in montages. Was there anything you wanted to keep in the fill but due to time constraints you couldn’t implement? Breathing room and space. These were very personal stories with extremely emotional moments. We had to cut out in order to honor the intent, which is to alert people on to how this is done. We had to sacrifice a lot for advocacy. What does being someone’s guardian really mean? Say if someone took guardianship over me, they are legally Billie Mintz. They own me, my money, my estate, and my health decisions. It’s like the invasion of the body snatchers. They can do whatever they want because they did it through scrupulous means. Why didn’t some of these elderly people who were taken have a legal health care proxy? If a guardian scrupulously through the family court gained guardianship over an unsuspecting elderly person whether they have a health proxy signed or not they have the police to help remove that person from their home. If that person does not come willingly the police will show up and they have to help because it is a court order. That person who is taking this person is now that person. You interviewed three seniors primarily, Rudy, Rennie and Phyllis who all were taken to an elderly facility, but were eventually released. How did they gain their freedom? Their daughter Julie fought on their behalf [in family court]. The [senior] newspaper fought on Phyllis’ behalf. She wrote a blind letter to Dan Roberts and Rona Goodman who were writing about [guardianship], then they took responsibility for her and got her out. The family court’s were so exposed that they couldn’t get away with what they were doing. Other people didn’t have anyone to advocate on their behalf. A lot of this happens to people who do not have children, Phyllis was lucky because she was able to get through to the newspaper otherwise she would have died in there. What are some of the solutions to this extremely difficult issue? I’m not an advocate on this issue and not an expert on this. It’s hard to do interviews for this film because journalists want me to be an advocate on it, but I know what’s in the film because that’s what we ended up focusing on. My job was to document what they were going through. Then turn it into an entertaining enough story in order to be alerted to what’s happening. I look for stories where victims that are going through a crisis and nobody is helping them. Where documentary film and journalism come [together] to help people who don’t have a voice. What are you hoping this film will ultimately help achieve in terms of changing laws for this issue? People get away with conspiracies because they do it in secret and in hiding. The first thing is exposure, because these things happen in the shadows. There needs to be major reform in policy around how we deal with our vulnerable citizens and loved ones. We gave a little glimpse into what happens to a family who falls within this pit. Julie Belsh fought for three years to save her parents against a relentless system that was intent on destroying her family and not letting her get the word out. She’s now suffering from major PTSD. My hope is that this film is used by people who are currently going through this right now to show others that they’re not crazy. A conspiracy makes you and others think you are crazy when you are going up against them, because they hold the power. They control the information and the narrative. I’m hoping that this film will be the needed change to that narrative.